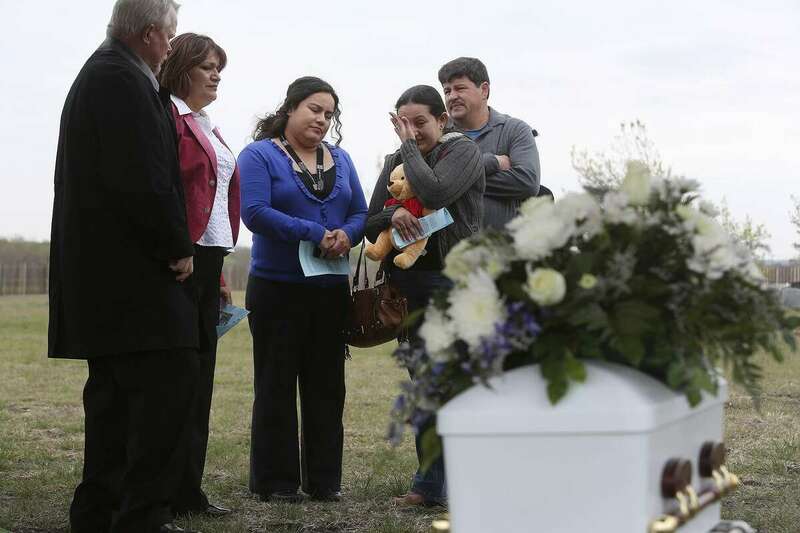 After authorities found the body of 8-month-old King Jay Davila wrapped in a blanket and buried in a backpack in a Northwest Side field, it became clear to Pamela Espurvoa Allen that she needed to do something. Police discovered King Jay’s body a week later and charged the boy’s father, Christopher Davila, 34, with child endangerment, injury to a child and tampering with evidence. Allen, along with her husband, Tim, founded Eagles Flight Advocacy & Outreach in 2002. The nonprofit provides provides burial services for abandoned infants and children who are victims of deadly abuse. The memorial service, which is open to the public, will be at 11 a.m. Saturday at Christian World Worship Center on Walzem Road. A flower planting ceremony in the field where King Jay’s body was discovered will follow. The Midwest is still stuck in a deep freeze. The temperature is well below zero in many states, thanks to a breakdown in the polar vortex that’s flooding the region with the coldest air it’s seen in years. Chicago set an all-time record low of 27 below zero. Northeast, snow squalls and near-whiteout conditions hampered motorists. At least 10 deaths are linked to the extreme weather this week. More than 4,800 flights have been canceled. Schools are closed. Mail delivery is suspended. Blood drives are called off. Chicago’s commuter train service is setting tracks on fire, for safety. Even beer deliveries are on hold. Those are just some of the 17 ways (and counting) the cold temps are hitting the country. Loop 1604W – Nightly until Saturday, from 9 p.m. until 5 a.m. Southbound right mainlane from FM 218 (Pat Booker Road) to Kitty Hawk will be closed for excavation work.